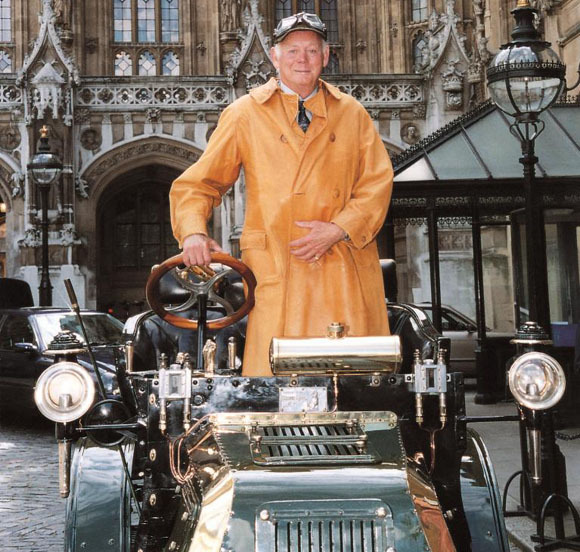 Today is a sad day for classic motoring as Edward, 3rd Baron Montagu of Beaulieu dies after a short illness. He died peacefully at his home on 31st August 2015. He is survived by his wife Fiona, his son and heir Ralph, daughter Mary and second son Jonathan. The world-famous National Heritage Museum, founded by Lord Montagu, housing hundreds of veteran and classic vehicles, will continue to operate as usual. Edward, 3rd Baron Montagu of Beaulieu, was the devoted custodian of his family’s 7,000-acre Beaulieu Estate in Hampshire. He was also a champion of the historic vehicle movement and founder of the National Motor Museum. Edward Montagu inherited the Beaulieu Estate on the death of his father, John Montagu, a motoring pioneer, when he was just two years old. Montagu’s birth in 1926 came as a great relief to his father, who at the age of 61 was desperate for a male heir to his title and the estate. After finally fathering the son he had longed for, it was a sad irony that John Montagu died in 1929 leaving Beaulieu to be managed by his widow and trustees until Edward reached the age of 25. By the age of two, Edward Montagu was thus already a peer of the realm, and gradually came to realise he was also heir to an estate. In 1937, at the age of ten, he attended the coronation of King George VI. The youngest peer in attendance, he wore a special costume for minor peers and carried a black velvet bag containing sandwiches to sustain him through the day. In 1945, having completed his schooling, he joined the Grenadier Guards and was posted to Palestine as part of a peacekeeping force. When he left the army at the age of 21, he went to New College Oxford where he read modern history. During this time, he also took his seat in the House of Lords, where his maiden speech was about his experience in Palestine. Instead, he secured a position with the advertising and public relations agency Voice and Vision, where his first job was to launch the now classic comic Eagle. He publicised the first issue by hiring a fleet of Daimlers mounted with huge model eagles to tour the country distributing vouchers for the first issue. Over a million were printed and all were sold. The idea would prove to be a winner. In 1952, there were no other motor museums in the country and it also gave Montagu the opportunity to pay tribute to the father he had never known, who as an MP had been an eager campaigner for the needs of early motorists, and publisher of the first motoring journal Car Illustrated. The only drawback to this plan was that, at the time, he only had one veteran car, a 1903 6hp De Dion Bouton which had previously been used by the estate electrician. 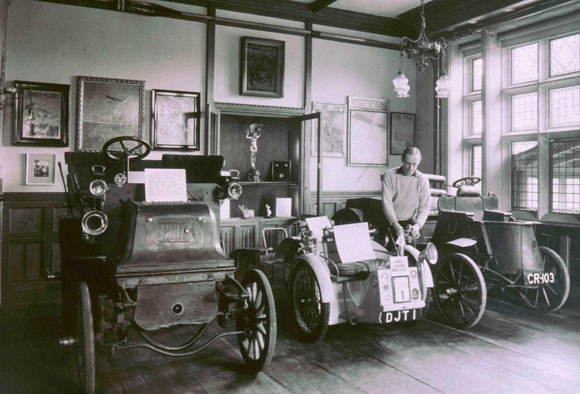 A call-out to the Society of Motor Manufacturers and Traders produced the additional exhibits he needed to start a small motor museum in the front hall of Palace House. By 1956 the vehicle collection, which now included several motorcycles, had outgrown the house and Montagu established a separate home for them in some large sheds in the grounds. 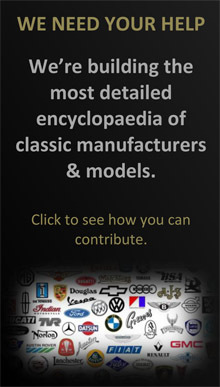 The Montagu Motor Museum was born. In the same year, he also launched Veteran and Vintage magazine, which he published until its sale to IPC in 1979 (it later became Collectors’ Cars and eventually Classic Cars). By 1959 the vehicle collection had grown even further, and a new building was therefore constructed. It was officially opened by Lord Brabazon of Tara in the presence of many luminaries from the world of motorsport, including Stirling Moss, Tony Brooks and Graham Walker. Satellite motor museums were established at Measham and Brighton but were short-lived. Ever the entrepreneur, he noticed that the owners of old cars were having difficulty obtaining authentic tyres, so in 1962 he co-founded Vintage Tyre Supplies which remains the world's largest supplier of original equipment tyres for veteran, vintage and classic cars. In 1963, Montagu created a Maritime Museum at Buckler’s Hard, establishing the village as the second visitor attraction on his estate. Opened by the then Admiral of the Fleet, Earl Mountbatten of Burma, it tells the story of 18th century shipbuilding on the Beaulieu River. 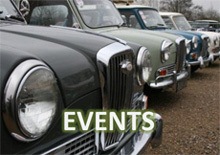 In 1967, the now world-famous Beaulieu Autojumble was held for the first time. The inspiration came from the automobile swap meets Montagu saw in the United States and he was proud that the name he devised, Autojumble, was later given a place in the Oxford English Dictionary. By the mid-1960s, Beaulieu was attracting over half a million visitors a year. Edward Montagu realised that a long-term plan was needed to fully harness the potential of its leisure and tourism business but in a way that didn’t diminish the scenic and conservation value of the estate. He commissioned a leading planner of the day, Elizabeth Chesterton, to draw up a strategy for the redevelopment of the visitor site, a by-pass to divert traffic away from the village, the construction of a marina at Buckler’s Hard and a limited number of residential developments elsewhere on the estate. The plans for the new Motor Museum and its visitor buildings were then drawn up by the architect Leonard Manasseh. They centred on the design of a new 40,000 square-foot museum with space for at least 200 vehicles. To achieve this, Montagu founded the Beaulieu Museum Trust. As chairman of the charity, his enthusiasm and drive won the support of the motor industry and other sponsors, and within a couple of years the necessary funds to start construction work had been raised. This ambitious project, which Montagu’s advisors had warned against, came to fruition on 4th July 1972 when The Duke of Kent came to Beaulieu to open what was to become Britain’s National Motor Museum. The newly designed visitor complex separated the new motor museum buildings from the historic abbey ruins and Palace House. The new buildings, which included a purpose-built admissions centre, cafeteria, motoring research library and offices, won several awards. The most significant of these, the prestigious National Heritage Museum of the Year, was awarded in 1974. 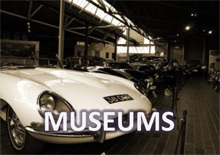 In 1989, the National Motor Museum Collections Centre opened to provide an administrative centre for the Trust and to house the ever-expanding motoring libraries and archives. The reference library is one of the largest of its kind and together with the photograph and film libraries is used by commercial and private researchers from all over the world. In 1983, in recognition of his innovative approach and commercial success, the government invited him to chair its new Historic Buildings and Monuments Commission, which he soon renamed English Heritage. Montagu regularly attended the House of Lords and when the 1999 reforms were implemented he was one of the Conservative hereditary peers elected to remain. Over the course of six decades, he spoke on motoring, tourism, museums, historic buildings, conservation and the New Forest. 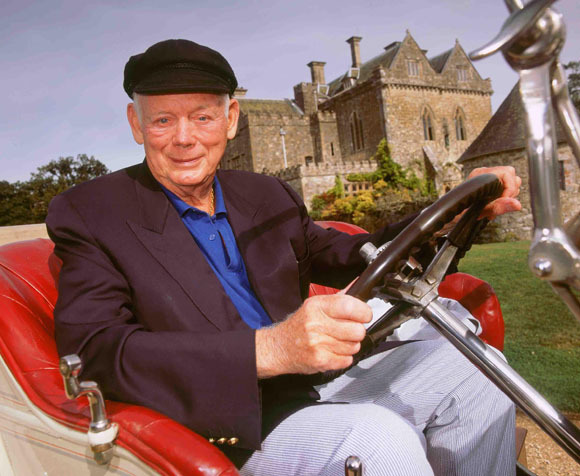 Lord Montagu was an active in many clubs, associations and organisations and held the Presidencies of the Tourism Society (1991-2000), the Southern Tourist Board (1977-2004), the Museums Association (1982-1984) and the Institute of Journalists (2000). He was Chancellor of the Wine Guild of the UK from 1983 and President of the UK Vineyards Association from 1996. He was also instrumental in setting up an advisory group that became the Federation of British Historic Vehicle Clubs, of which he was President. 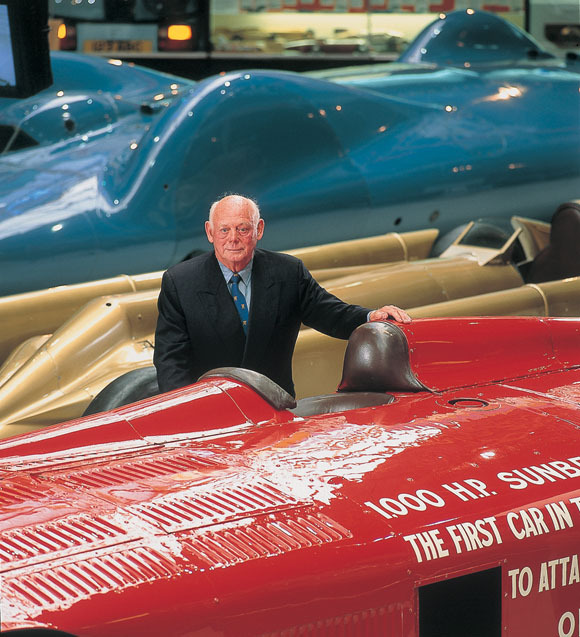 In 2012 Lord Montagu received the accolade of a lifetime achievement award for his dedication to preserving automotive history over many decades.